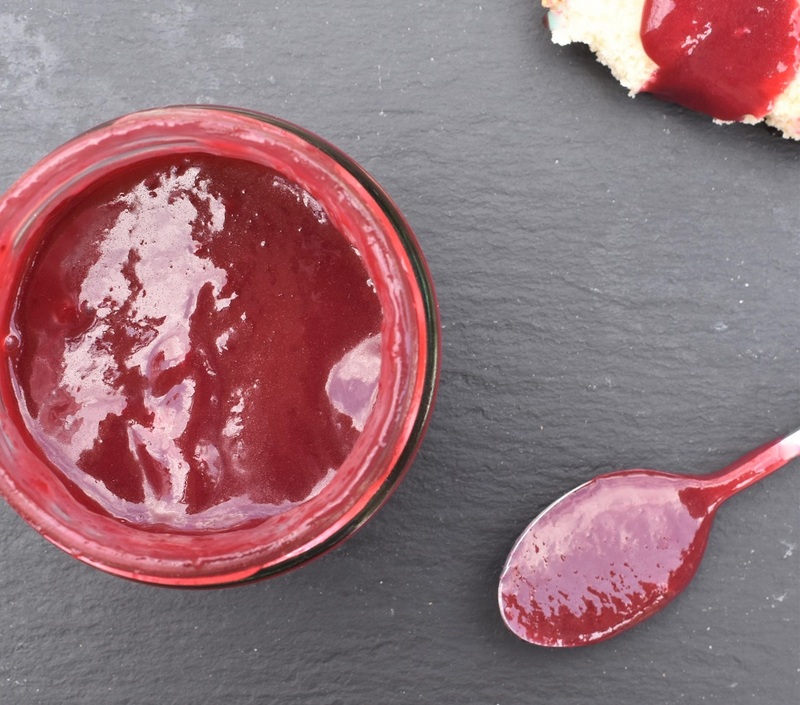 Blackcurrant curd is vibrantly coloured, intoxicatingly fragrant and tangy – and it is very simple to make. As blackcurrants are very much in season here in the UK (I am picking punnets of them every few days at the moment), I love making several batches of them. As I have mentioned in previous posts, I adore fruit curds and need no excuse to make them with whatever seasonal soft fruits are in season. That said, they work brilliantly with frozen fruit and even tinned fruit. Even using tinned fruit, the curd tastes so much nicer than curds you can buy. 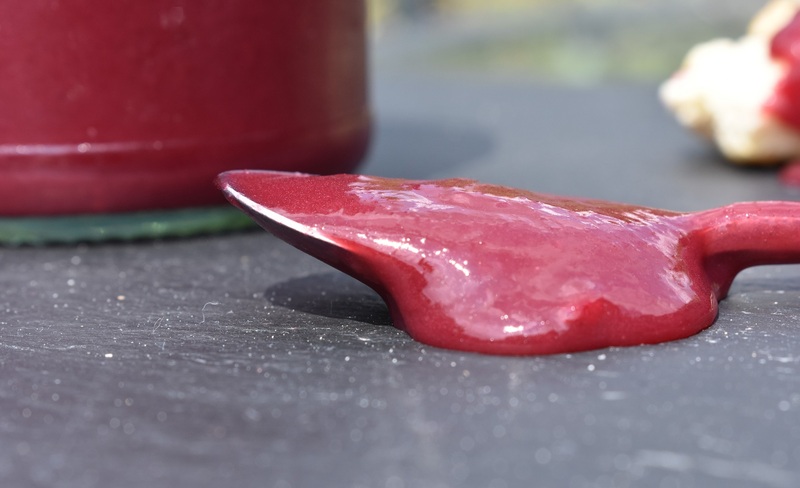 If you are using tinned fruit, just drain the fruit from the tin but keep the juice or syrup: I like to use the juice or syrup in cocktails or even in sparkling wine as a version of Bucks Fizz! 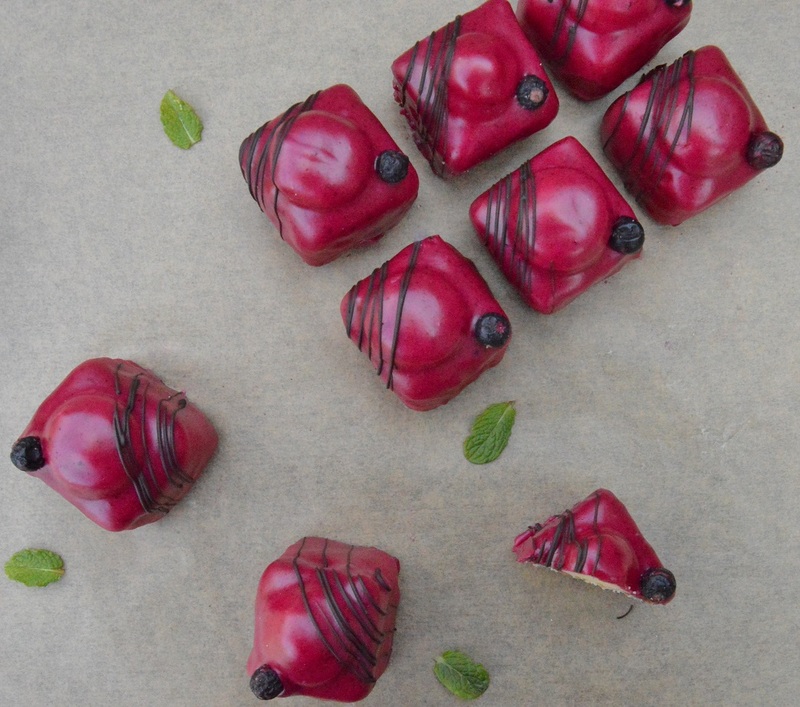 A video clip of me waxing lyrical about fabulous blackcurrants, with two more of my favourite things to make with them – blackcurrant & star anise vodka and blackcurrant fondant fancies – can be found here. Ok, I am just trying out videos so this is really just a practice run! The recipe for my fondant fancies is here. (1) Heat the blackcurrants in a small pan over a medium heat for a couple of minutes, stirring from time to time just to break them up and help release their juice. Strain through a fine sieve into a medium bowl, pressing to get as much as the wonderful juice as you can. NB: you only need to heat the blackcurrants until they break down enough so that they can be easily strained to get all that wonderful juice. 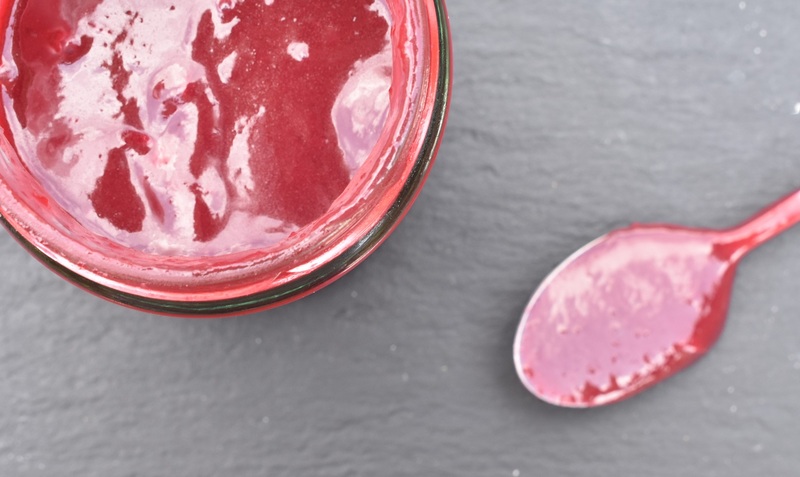 (2) Add the sugar, eggs and butter to the warm blackcurrant juice, mix well and place over a pan of gently simmering water, making sure the bowl is not touching the water. Stir the mixture well with a wooden spoon until the mixture thickens and just coats the back of the spoon (the consistency of double cream). Be patient (the hardest part I find! ): this can take 20-25 minutes or so, or a little quicker if the blackcurrant juice was hotter. (3) Remove from the heat and pour into sterilised jars – the curd will thicken further as it cools. Keep in the fridge and use within a couple of weeks. Ah the memories from back then- always nice to revisit in some form! I will. Just looking at suitable (ie: easy, it must be easy!) editing software! Also thinking how to change this blog url easily to be more along the lines of “Phil’s Kitchen” without restarting a whole blog from scratch!! Now this is a curd I’d love to make. I know everyone’s favorite seems to be lemon, but this is what I’d make and use! Yes I love curds that are not just lemon, too.